Cannon Fleece Throw Just $3.97! Down From $9.99! You are here: Home / Great Deals / Cannon Fleece Throw Just $3.97! Down From $9.99! Sears has this Cannon Fleece Throw on sale for $3.79 (Reg. $9.99)! Plus you can get FREE in-store pick up! Add exceptional warmth and style to your home with Cannon’s fleece throws. 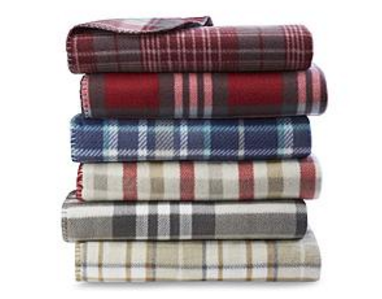 These lightweight plaid throws offer year-round comfort and come in a variety of colors and patterns to complement your decor.